The email address is extracted from between delimiters if specified. If not the first valid email address will be used. 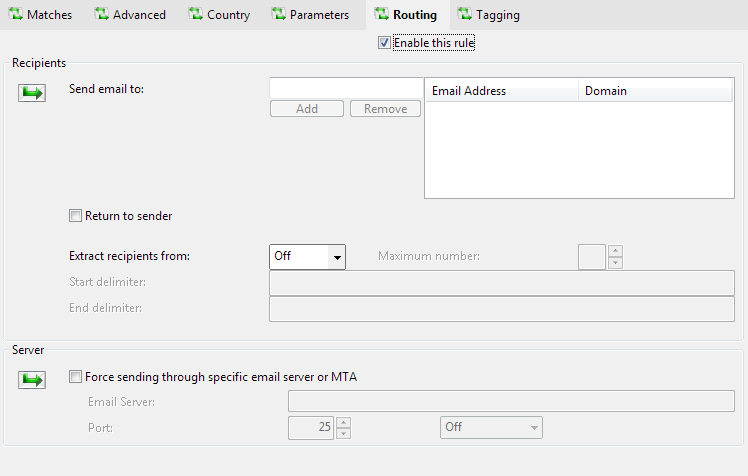 You can force email that match a route to be sent via a particular server. The server specified here will override any force server configured in the route, 'internal mail server' or 'smart host' configured in the SMTP Relay module, and email matching the route rule will ALWAYS be delivered to the specified host and port.